Our Merino Villas are perfect for couples or families and can sleep up to five people in two separate bedrooms. An open design room plan provides plenty of space and includes a kitchen, lounge and dining room. 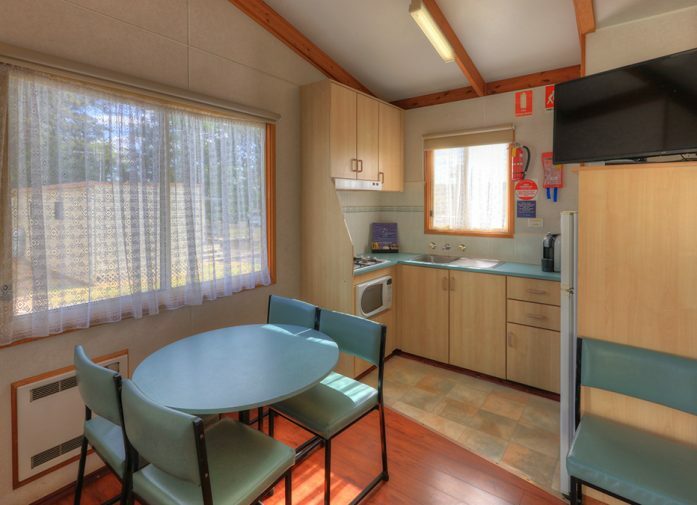 Full kitchen facilities allow for the preparation of basic meals and a dining table and chairs add to the comfort and convenience. 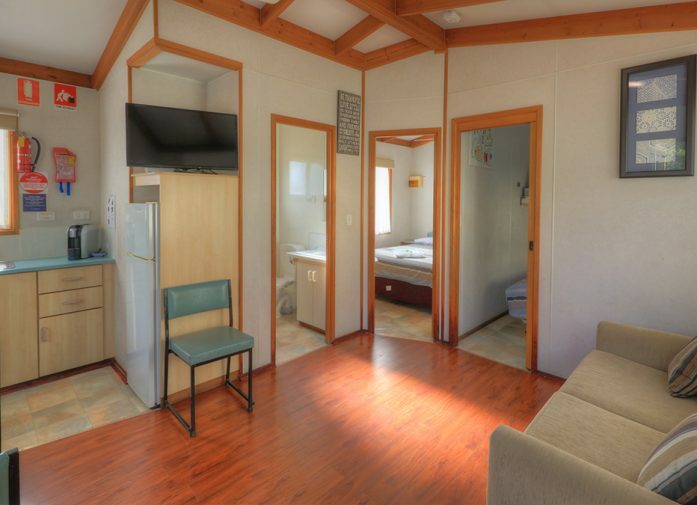 Complete with shower and toilet facilities and with curtained windows overlook grassy sites and flowering plants, the Merino Villas are very comfortable and offer an ideal place to sit and relax at the end of a long day taking in the many sights in and around the local area. 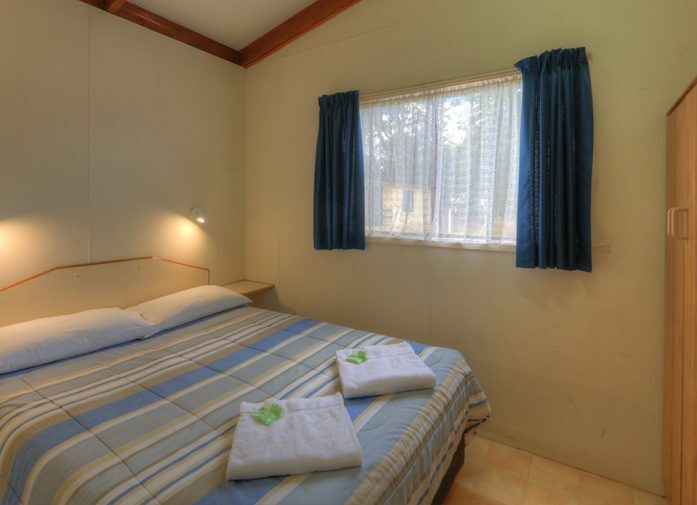 Linen and electric blankets are included with both the queen bed in one bedroom and the double bed in the second bedroom. 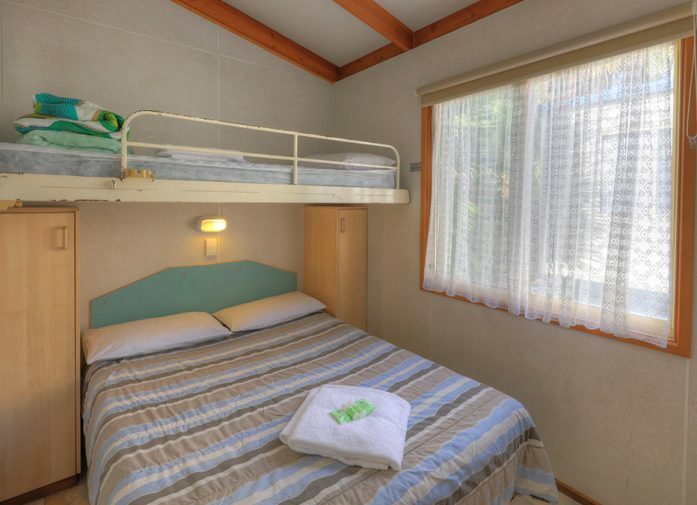 A fold-down bunk bed stowed above the double bed also has linen. 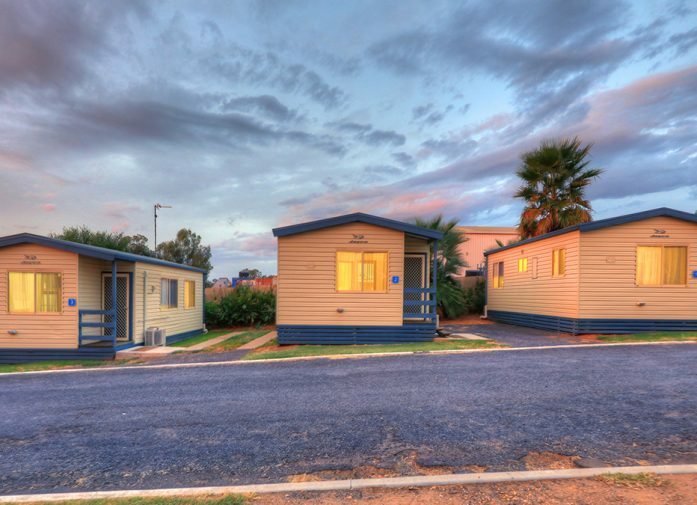 Our spacious Merino Villas are a great place to stay while exploring the beautiful city of Dubbo or just unwinding with the family as you make the most of the great facilities available on-site. 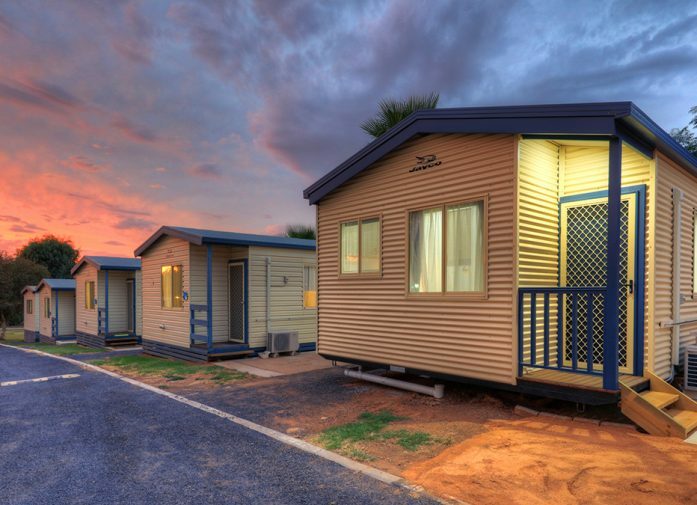 – Merino Villas 2 night minimum stay includes a family pass Sunday to Thursday $425.00 (including accommodation). – Family $415.00 includes a family zoo pass (including accommodation). – Seniors $360.00 includes 2 tickets (including accommodation). – 2 adults $380.00 includes 2 tickets (including accommodation).